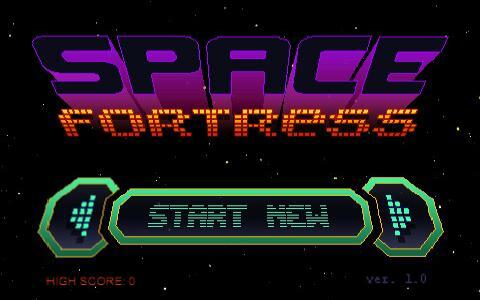 This game is a space shooter combined with a minimal yet very interesting managerial console. The entire game is delivered in a very tight envelope, that makes this game play very easily and be very direct, very immediate. 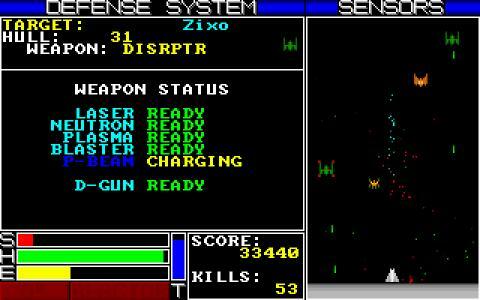 The shooting is nice, arcade like, and the weapons, the shields and your other ships' controls are included in a menu system. You can choose to direct your power to different areas of the system if you need to, direct it to the weapons if you want to cause a lot of damage, or direct it to your engines if you want more speed. You also can choose to change the weapons with which you fire from this menu as well, which is great because you always have direct control over your ship. You don't move, because your ship is a space fortress like, and you have to withstand as much time as possible. The cool thing is that it has this Enterprise from Star Trek feel to it, because of the way you have to redirect power between systems, and whatever you do, you have to maintain life support throughout, if you are to keep playing.